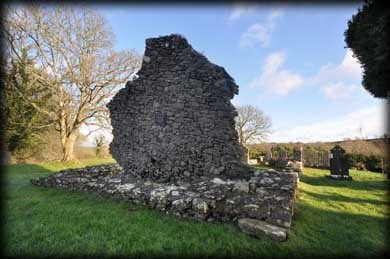 This 14th century Parish Church was built on the site of the Church of Deomog (Cill Deomog). The Parish was under the control of the Knights Templar till 1540. 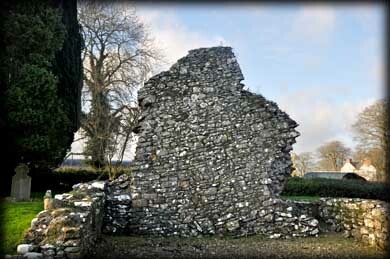 Amazingly the gable of the west wall is standing about three feet inside the foundations. Locally it is believed the wall jumped from it's foundations during a violent storm in 1715 in order to exclude the grave of an excommunicated person. Whatever the reason the church and wall are worth viewing. 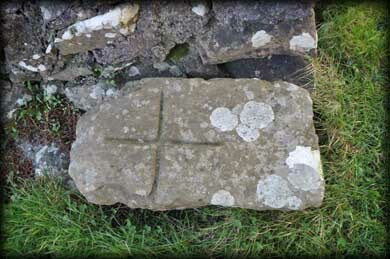 At the southwest corner of the church is a slab inscribed with a simple cross (picture bottom right). 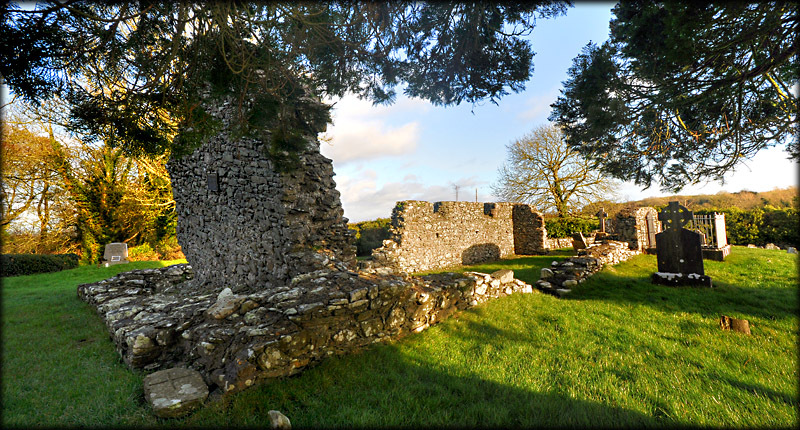 Situated: From Ardee head south on the N 2 for about 3 Kilometres then turn left. After 750 metres turn left. the Church is 750 metres down this road on your right. Discovery Map 36: N 9738 8838. Last visit Jan 2012.